Welcome to The Tropical Maniac Shack, located on the main drag in beautiful Matagorda, Texas. We’re just a quick hop from Matagorda beach and the beautiful waters of the Gulf of Mexico. 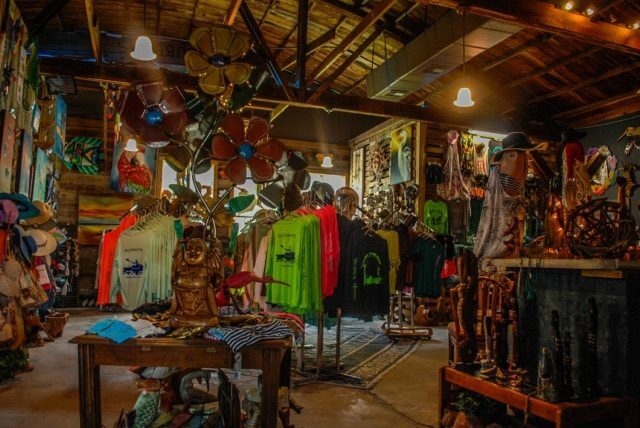 We carry a large selection of Tropically inspired housewares, art, apparel and furniture items. You’ll also find a beautiful collection of beach and sportswear items, including ladies sun dresses, bathing suits for guys and girls, t-shirts, Maui Jim sunglasses, and of course, the full collection of Tropical Maniac Sportswear. We also carry a large selection of Berlin Gardens outdoor furniture, that’s perfect for your deck or patio.